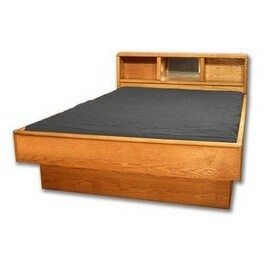 We provide only top quality hardside waterbeds for sale. 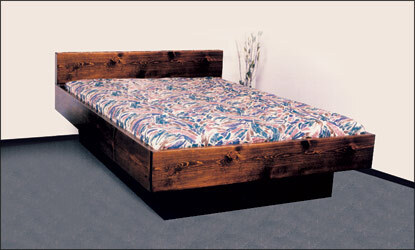 This is the type of waterbed that got the craze started way back when! 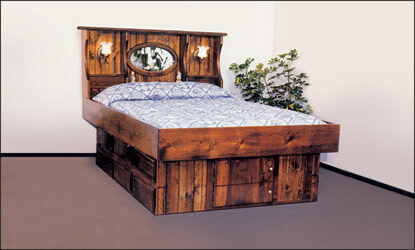 A traditional hardside waterbed is made up of a raised pedestal on which a wooden frame sits. 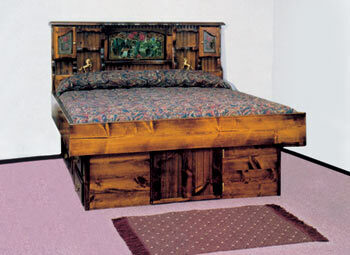 Inside the wooden frame is a waterbed bladder that holds the water and provides the unique feel that is characteristic of a waterbed. In the past, choices were very limited as to the kind of hardside waterbed mattress (bladder) that you could get, but now there is a huge selection of mattresses available, depending on your taste. Choose form a traditional free flow mattress that has all kinds of movement or treat yourself to a luxurious motion reduced mattress that offers unparalleled support. 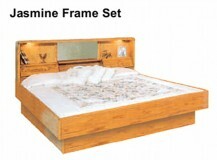 Our waterbed frames are for sale in several sizes including single, queen, and king size. 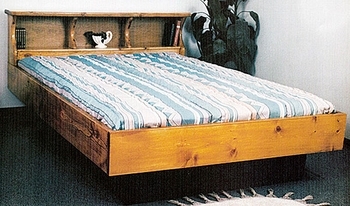 Our waterbed frames do not include plywood decking with the bed. You can purchase the decking at any local lumber yard or building supply for 30 dollars or less. We recommend 1/2 inch plywood 48 by 85 for super single, 60 by 85 for queen and 72 by 85 for king size. 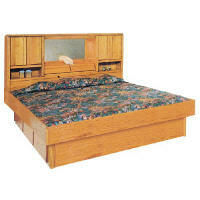 More information about complete waterbeds and all the accessories available. 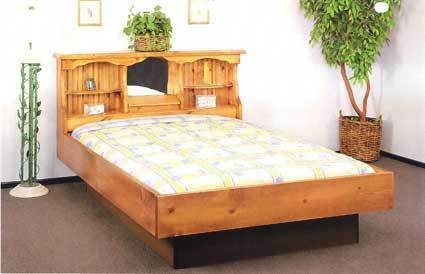 5 board Oak Waterbed Frame with riser. Includes mattress, liner heater and fill/drain kit. Pine Bookcase Bed with standard pedestal , available in light or dark finish. 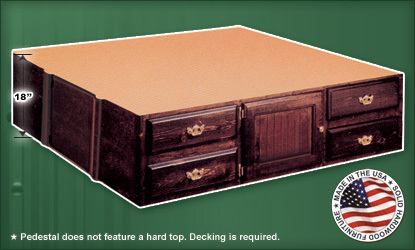 Bookcase Waterbed with 9 inch 6 drawer base, available in light or dark stain. 1 standard 9 inch pine waterbed pedestal(base) with cross supports. Allow 2 weeks for delivery. Bookcase waterbed with 13 inch 6 drawer princess pedestal for maximum storage space, available in light or dark stain. Crestwood Bookcase headboard in traditional hardside style, choice of light or dark stain. 13 inch 6 drawer princess pedestal, light or dark finish. 18 inch Pine Capt's Pedestal. The Tallest waterbed pedestal available Light or dark finish available. Jasmine Oak Bookcase Waterbed with mirror and lights- (without drawers we supply regular black riser). This is the finest Oak Bookcase waterbed on the market today. It comes with plain black riser. Oak Bookcase Waterbed with 12 inch 6 drawer princess pedestal(no front door. Oak Bookcase headboard and frame and plywood deck with plain riser.